1. Read MC9s12xdg128 2M42E tonight. Very smooth easy read and verify flash and eeprom. 2. I made pcf reseting with vvdi prog on allot of remotes. It does erase, no problem. It writes no problem. Thumb's up for the tool. Working good.Only that you need a good dump for the pcf. No CD in pacakge now,free download newest VVDI Prog software online. How to use VVDI Prog to Read BMW Engine ECU ISN? How to install VVDI PROG Programmer software? 1. 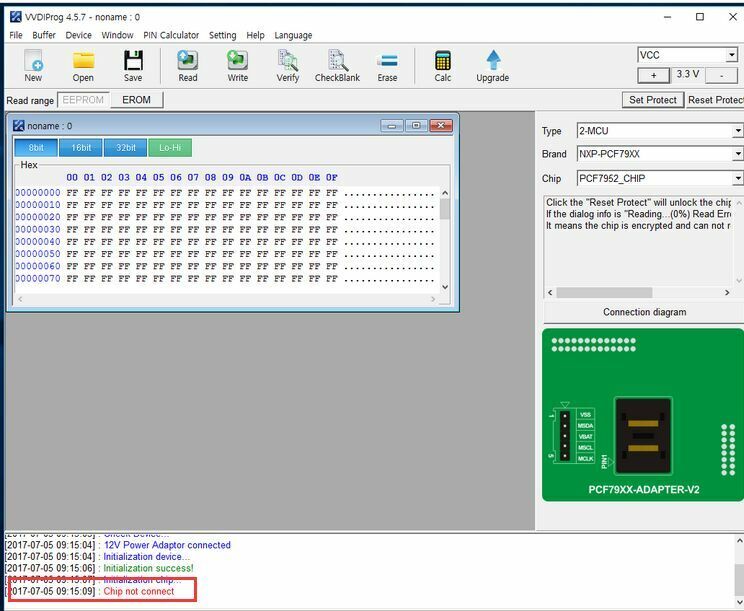 Q:When i use the VVDI Prog to read PCF7952 chip,it failed "Chip not connect",what can i do? A:Please check the connection diagram,and the pins connection. 2.Q:About BMW ISN function?which bmw car models does it support? A:If your BMW car is supported,the ISN will display automatically in the software. 3.Q:When i try to update,it got error "UNABLE TO FINDE EQUIPMENT "
A:Please check driver installation and vvdi prog connection,try to update again. 4.Q:Will VVDI Prog support BMW isn coding function? A:No,VVDI Prog is used to read chip data,it can support read BMW ISN. 5.Q: VVDI Prog can do BMW CAS4 or not? A:Yes,it can support,you can download the newest VVDI Prog software,and check type in software. 6.VVDI PROG 95640 read OK and write not (write error on the beginning). VVDI Pro sprinter w906 eis reading via new ST. adapter is not working, had to use V1 flash cable to read the eeprom. the connections points on PCB must be sure cleaned before !!! Spent an hour moving it slightly, even tried sprinter 2006- from the drop down menu , but with no luck ,V1 flash cable job at the end. Question: Didn’t clean the pcb mate, of course 12v connected, but i looked under the mag. it seemed that the pins are slightly off! oh well the job is finished , i will check the next one , or buy one to check. thanks mate. 8.Q:When read Benz EIS is OK,but write or verify got error,how can i solve? A:Please go to setting >>environment,tick off the slection. Enter update interface, if software "show communication with server failed",please close your Anti-virus and computer firewall and retry. If software show "unable to find equipment", please reconnect device. VVDI Prog Read BMW E Class MEVD1724 N20 Engine? 1.Start VVDI Prog software,and choose BMW E Class MEVD1724 N20 detailed type. 3.Do the soldering according to the wiring diagram. 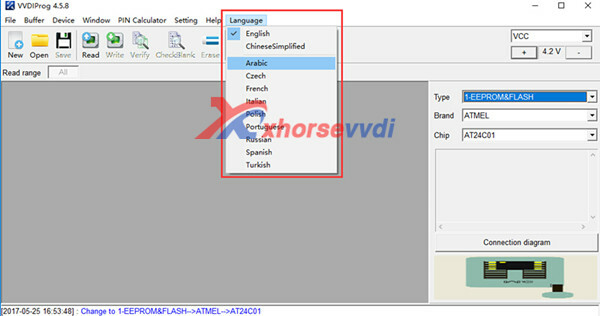 4.Click read on the software menu.After finish reading,please save the data you have read.